all February long supports Grey Bears! 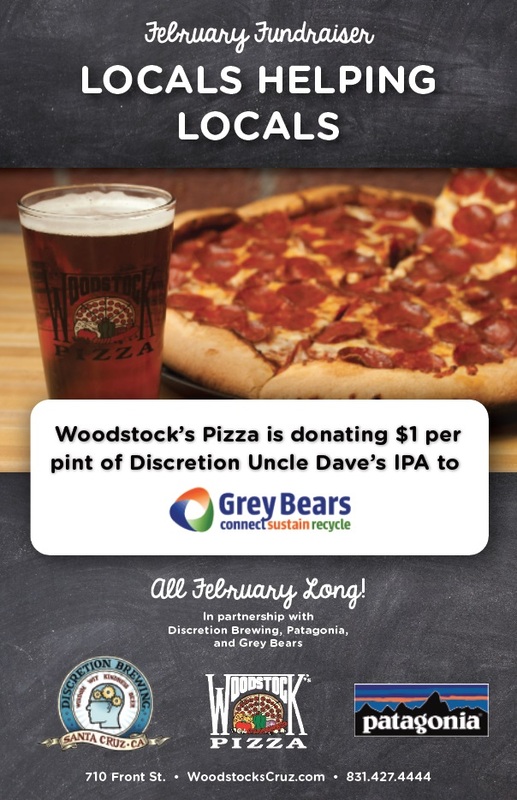 For every pint of Discretion’s Uncle Dave’s IPA ordered at Woodstock’s during the month of February, $1 will be donated to Grey Bears. Pizza and Uncle Dave’s IPA, the pairing that keeps on giving! Woodstock’s Pizza, 710 Front Street in downtown Santa Cruz, 831-427-4444.